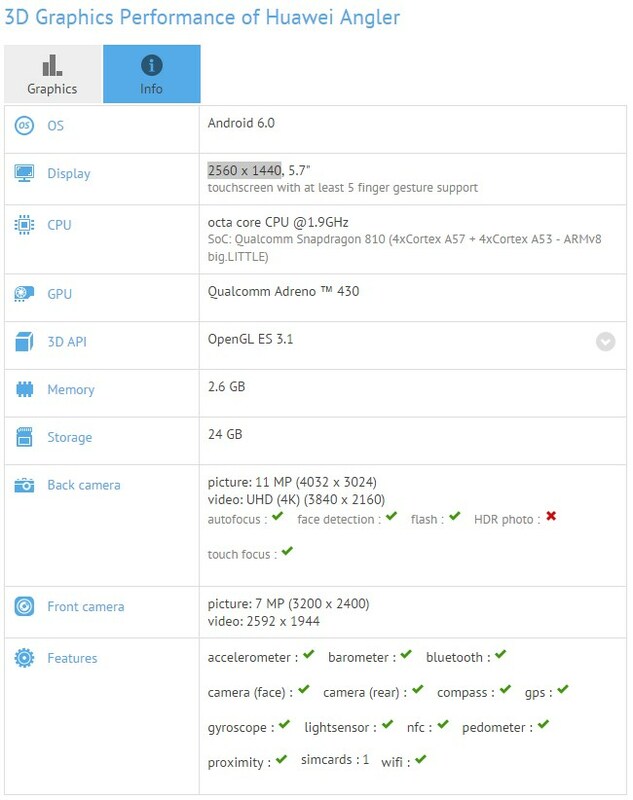 If there was any doubt about the specs of the upcoming Huawei-made Google Nexus device, this latest entry in the GFXBench database should dispel them like tiny clouds on a hot summer day. Coded under the internal name Huawei Angler, the next Google flagship will apparently carry a 5.7" display, just as rumored, with a 2560 x 1440 Quad HD resolution. 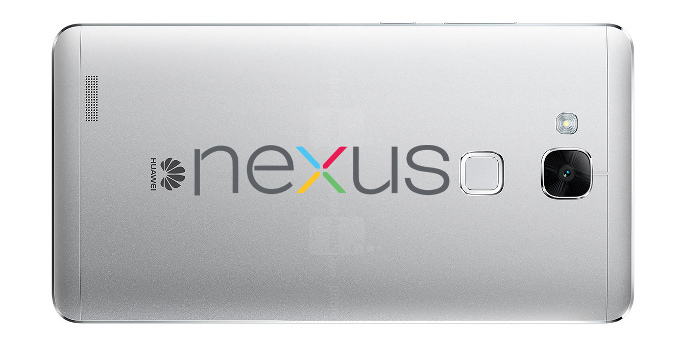 Last month we heard that the Huawei Nexus will have a 159.4 x 78.3 x 6.6/8.5mm chassis, which won't make it the most compact 5.7-incher out there, like the Note5, but rather about average in that respect. The processing power is provided by Snapdragon 810, clocked at 1.9 GHz, with Adreno 430 GPU, and there are 3 GB of RAM. The available internal storage is listed as 24 GB, which indicates a 32 GB mark in the official specs sheet. There is a 13 MP rear camera and Huawei's typical 8 MP front shooter that is present on most of its flagships now. Interestingly, the phone features a barometer inside, so there might be apps or features taking advantage of its atmospheric pressure measurements. The star of the show, of course, as with every Nexus device, is Android 6.0 Marshmallow, and everything indicates that this Quad HD Huawei will be the poster child for the newest Android version. The two Nexus devices by LG and Huawei are expected to be unveiled on September 29th, with availability rumored for October 13th.